Chest radiograph in posteroanterior projection: a) initial and b) after 130 days at the time of presentation. CT image: a) lung window and b) mediastinal window. Relationship between the tumour mass and the bronchus, as described by Tsuboi et al. . Details of the four types of relationship are described in the text. 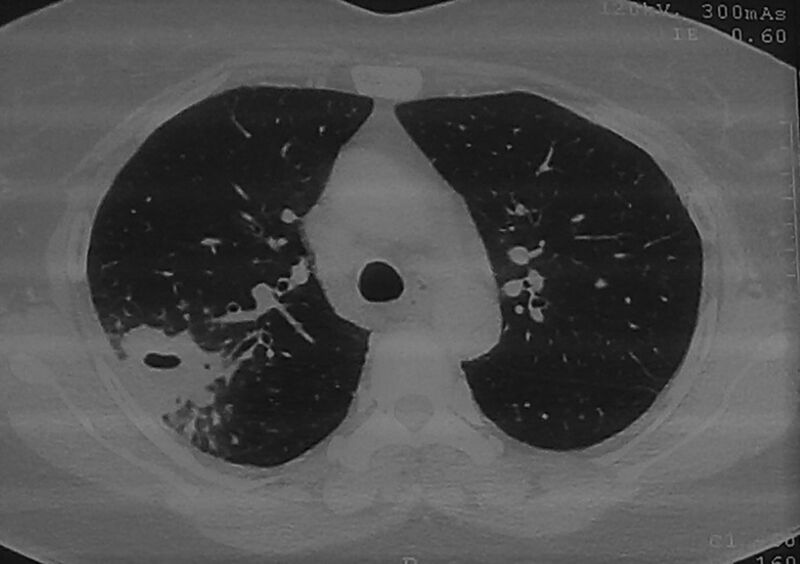 Follow-up CT scan of the chest after 2 months of first-line anti-tubercular therapy.